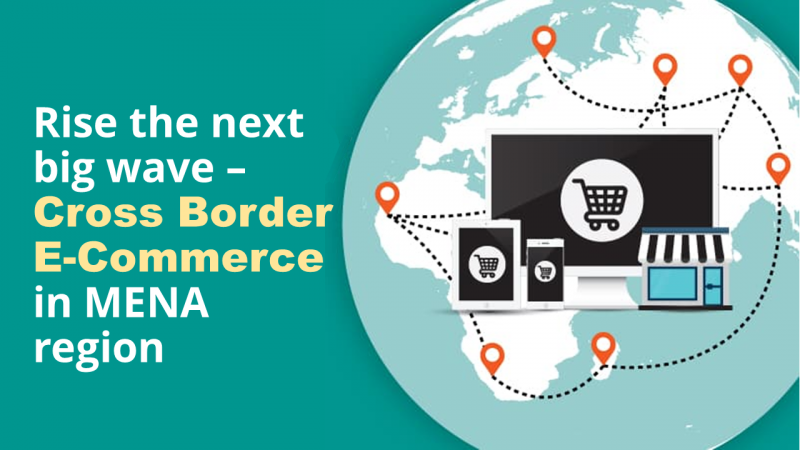 B2C cross border e-commerce in MENA region is projected to grow to 26 Billion US Dollars by 2020. Cross border shopping not only offers customers hitherto unavailable product selection at attractive prices, but also a higher degree of protection for buyers from counterfeit products. Interestingly over half the cross border ecommerce transactions into MENA countries originates from the USA and UK, which are home to leading brands patronized by the MENA residents, as well as have mature e-commerce businesses who guarantee the authenticity of products sold. 1. Content & Social Media engagement: 29% of consumers are concerned that delivered product will not be as described. 64% of shoppers form their buying opinions based on Facebook and Twitter, and 52% of online shoppers read product reviews on social media prior to purchase. Hence it is critical to invest in a solid content writing and social media marketing team. 2. Secure Multi-device Checkout: 41% of online consumers use mobile phones as the primary purchasing tool, and 62% consumers are concerned about data security while shopping online. Consumers are increasingly preferring mobile friendly portals as compared to downloading another mobile app. 3. Clarity on Duties & Taxes: 30% of consumers have abandoned a potential cross-border purchase due to lack of clarity on the amount payable towards custom duty or local tax. The simple fix here is to build a “Duty & Tax Calculator” widget, and integrate it into the checkout section of your website. 4. Logistics: Customers are increasingly expecting same day deliveries or delivery within 48 hours at the latest. 42% customers would like to touch & feel products before paying for them. Quick reverse pickups for customer returns continue to be a challenge for most retailers. Considering these factors, sellers need to invest significant time and cost into developing a robust logistics network. 5. Cultural Nuance: With 80% of MENA e-commerce being on COD terms, it is important for Last Mile Delivery teams to include ladies, who will be able to handover shipments on the first attempt to the more conservative households. E-commerce companies and independent sellers need to take a strategic call regarding which of these capabilities can be developed more efficiently via outsourcing to professional agencies or platforms, rather than investing all of their scarce resources into building them internally. Outsourcing also offers the added benefit of being able to work on multiple priorities in parallel without investing in large teams. In conclusion, speed is of the essence for companies and individuals to reap the maximum benefits from the flourishing MENA cross border e-commerce ecosystem.